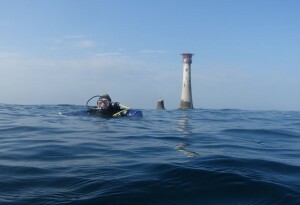 Home › Dive Trips › Plymouth Easter – sunny and flat calm? This is UK, right? Plymouth Easter – sunny and flat calm? This is UK, right? 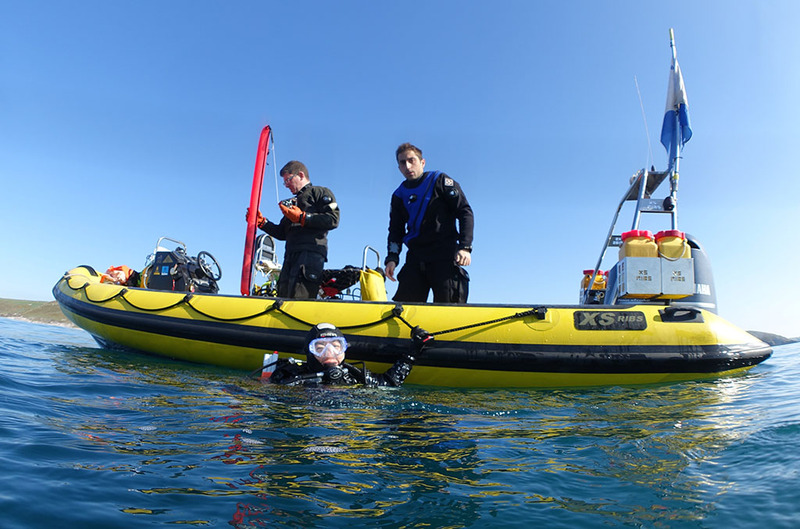 Easter weekend saw ten Clidivers descend on Plymouth for the annual shakedown and what was, for most of us, the first UK sea dives of the year. least one member of the group. Followed up by a dive on the Glen Strathallen where some of us are lucky enough to see SIX SQUID! Dinner at the Clovelly and they are all out of pork belly – devastation all round. Saturday gets flatter and we begin to think we might get lucky weather-wise. We dive the Scylla and almost every buddy pair manages to navigate back to the shot – most weren’t even trying to, so surface feeling particularly smug. 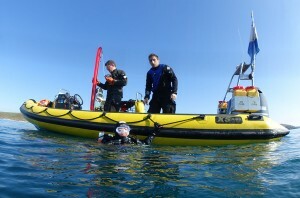 Followed by an afternoon dive on the Persier. Lots of ballan wrasse chasing each other all over the wreck – love is probably in the air (water). We go back to the Clovelly and this time get our pork bellies – happy divers [I STILL have my pork belly, a week later! Ed]. Sunday gets flatter still and we finally run some risk of sunburn. 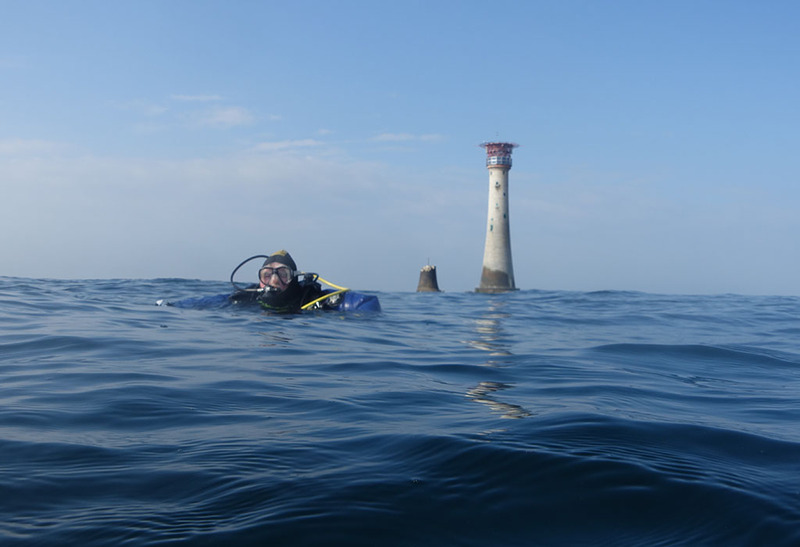 Dives at Hand Deeps and the Eddystone are about as lovely as scenic Plymouth diving gets. The wrasse are freakishly big, the jewel anemones are out in force, and fish are everywhere. It’s basically the Red Sea minus a few degrees Centigrade. We venture across the water to Plymouth proper for dinner and discover (a) we’re not bad at darts; (b) if you haven’t started drinking at 2pm on a bank holiday Sunday in Plymouth you’ll feel a little out of place by 7pm. 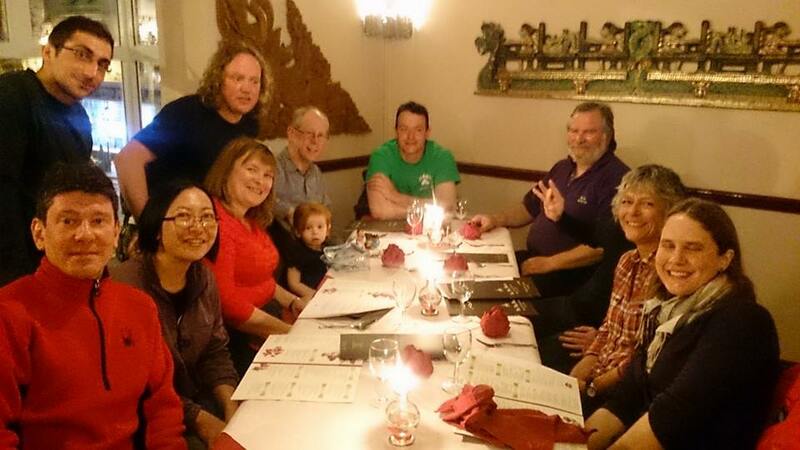 We have a Thai dinner with Clidivers Declan and Annette (who now live in Plymouth) and 2 year-old Fenella. We ogle Annette’s recent ice-swimming world championship medals and probably all shiver a bit in sympathy. Monday takes us to Hilsea Point for the last dive of the weekend. One buddy pair spots a blonde ray. Back on the boat, some divers make heroic efforts to get to the end of the trip’s chocolate supplies but we are defeated by a surfeit of Penguins. Then it’s back to dry land and real life, until next time. Thanks to Neil Skilling for organising a great trip.